My girls are very in to their technology, they love playing on apps on our iPad but I don't let them play on just any games, I like ones that are not only fun but have them learning too. I was recently approached to review the latest app from developers TribePlay. TribePlay believe in making games that educate and teach kids about life and the world that surrounds them which sounds just perfect to me!! This development team are the brains behind the games under the Dr Panda title. 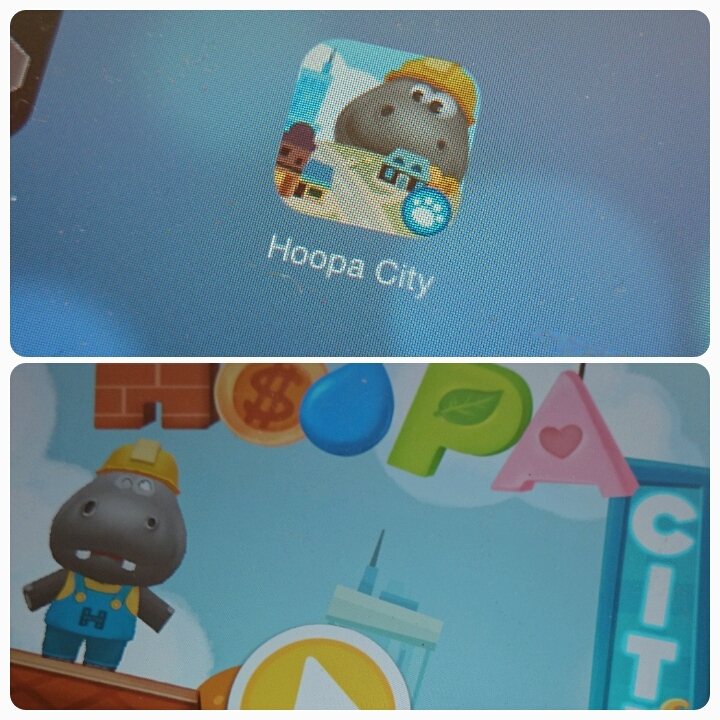 The latest game to be introduced is Hoopa City. Designed for kids between the ages of 5 to 8, this apps lets your childrens imaginations run wild. The idea is that they get to help Hoopa Hippo create some amazing villages, towns and cities which will all be populated by Dr Panda and his friends. • Play and experiment with 7 world-building materials like water, electricity and brick! 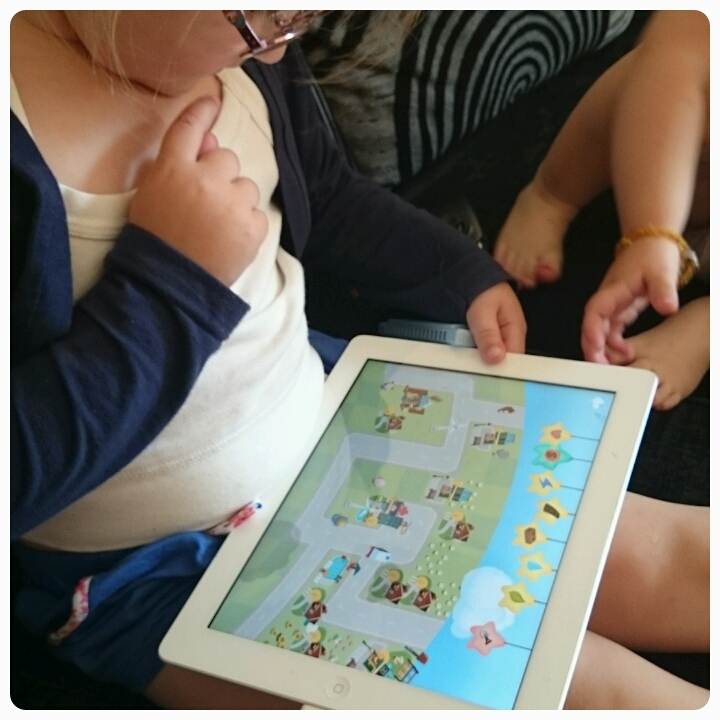 My daughters are aged 8, 6, 4 and 23 months old and although the app is ideally aimed at 5-8 year olds, all of my children enjoyed playing on the app. Ok my youngest daughter didn't really understand what she was doing but she had a lot fun pressing the different items on the screen. The girls got stuck in straight away. There was no need for instructions as the game is fairly self explanatory. We found the app was easy to navigate and what's great is there are no rules and no hidden costs to pay. You can make as little or as much as you like. From schools, houses and shops to theme parks, stadiums and beaches. So many combinations to be discovered, the game almost seems never ending. The bigger your town/city becomes, the more people that begin to wander round and populate it. You even have vehicles driving on the roads, the ice cream van was my favourite!! To build your city, you are given 7 different building materials including water, electricity and brick. This gave me the opportunity to explain to the girls exactly how houses are made, well I say me, I left the explaining up to Daddy Hazelden. There is another element added to the game. Your child can combine different materials which will unlock secret combinations as well as creat suprise features or buildings. An example of this is that if you combine a tree and a house then you will get a garden and this is celebrated with a spray of confetti. The only thing I wasn't so keen on was the background music, it was nice in the beginning but I found it got annoying after a few minutes of play, however it isn't all bad as there is the option to turn the sound off. It costs £1.99 to purchase this app from iTunes or the Play store and in my opinion it is money well spent. It provided hours of entertainment for all of my children and was refreshing not having to buy anything extra to get the full potential out of the game. Worth checking out. Disclaimer : I was provided with a code to purchase the app however all thoughts and opinions are my own. Sounds very educational and fun. Perfect for kids because you want them to learn while having fun.